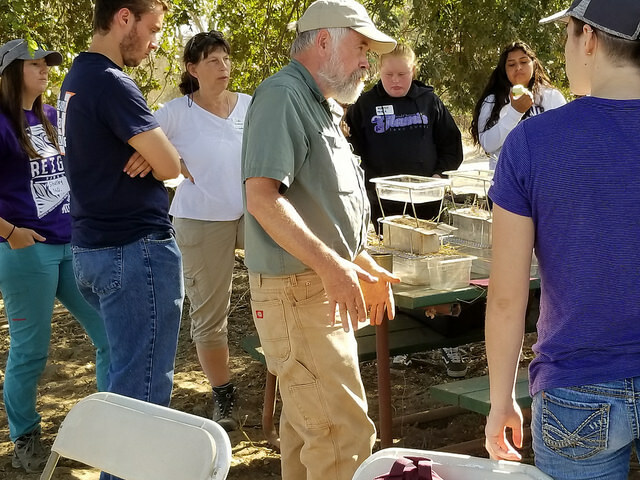 Students from six local high schools have been spending time at Kaweah Oaks Preserve and other SRT sites for the past two weeks, learning about the importance in soil health from Carbon Cycle Institute founder Peter Donovan and his partner Didi Pershouse. It's just the start of a year-long program that will give students the chance to do hands-on training at the SRT Carbon Farm at KOP and at their own schools, while teaching them skills that will take them far in the working world - and help shape a better future for the Central Valley as well. The Carbon Farm operates on the idea that we can increase soil productivity by "sinking" carbon dioxide in the atmosphere into the ground, where CO2 is actually beneficial. Plants like carbon, and where plants grow, soil quality improves. How does that affect you? Simple. Healthier soils hold more water, improving groundwater tables and preventing downstream flooding. For local agriculture, that can be a huge benefit. Students from the local schools - including Mission Oak of Tulare, Monache of Porterville, Woodlake, and Lindsay high schools, and Eleanor Roosevelt Community Learning Center and Visalia Technical Early College - currently are learning about different kinds of soil and the plant life that can improve them. They will also be creating soil test plots at their own campuses to compare how different soils react. By the end of the school year, students could each have 40-60 hours of time spent on the project, in addition to knowledge that will give them a head's up in college or in work situations. With support from Southern California Gas, Wells Fargo/National Fish and Wildlife Foundation and Southern California Edison, we hope to continue the learning for future classes, and give this year's students a chance to teach their own versions to other students, as well as interested ranchers and farmers. You can get involved in the Carbon Farm too. 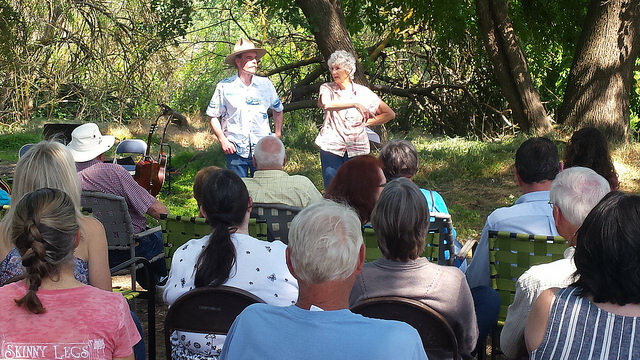 Check out the calendar on this website for volunteer action days at both Kaweah Oaks Preserve and Dry Creek Preserve throughout the year.